If you’ve ever tried to apply your company’s standard job hazard analysis tools to your job as an electrician and found that it’s difficult if not impossible to do, then you’re not alone. Most companies try to paint safety with a broad brush hope that each individual knows what the “arc flash” checkbox entails. But you know as well as I do that there is a lot more to planning an electrical job then ticking one or two checkboxes. 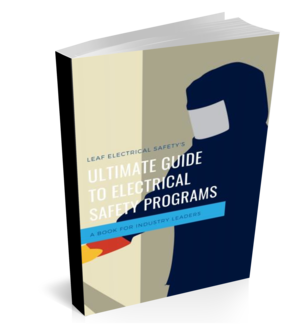 In this article, I’m going to walk you through what the electrical safety experts refer to as a job briefing. I’m going to take you through the process that I use and refer to the forms and check sheets that I recommended. So without further ado let’s jump in. So what is a Job Briefing? Well, it's really just a glorified toolbox talk specific to electrical workers... but that's exactly what electrical workers need. Often times standard hazard assessment tools and safety checksheets do not cover the electrical hazards in enough detail. What is the specific task or tasks that we need to complete while working on this job? What are the hazards involved? Are there any special procedures I need to follow? If paperwork is going to be involved (and in this case it is) I always recommend keeping it as accessible and as straightforward to use as possible. The following image is an example of what we give our students during our arc flash and electrical safety training courses. This is a pocket-sized booklet that has a number of perforated sheets. It's great because the electricians have it available to them at any time and it's very straightforward. So from here we'll just go step by step through the job briefing and make sure we hit all the high points. We will answer this question and more in the job description section. First, we want to know who is working on the job... if there is more than one then write all the names on the same sheet and only one person needs to complete the briefing (just make sure he or she is sharing the information!). Next, it's important to understand what task or tasks you are going to be completing. If it's a troubleshooting task then write down what equipment you are troubleshooting and any other relevant information. Here is an important note! If things change during the task... say your troubleshooting has led to determining you need to replace the motor, you need to go back and review the job briefing to make sure you are not going to be faced with any new hazards and that everyone involved is still on the same page. In the electrical world it's very likely you are going to be faced with an arc flash hazard and a shock hazard. The next section of the job briefing form is the "Identify Hazards" section. Determining the shock hazard is really all about determining the voltage level you are working on and determining the arc flash could either mean referencing the arc flash warning labels or using the PPE category method (both which we won't get into here). This information will help you prepare for the job, understand when you need to be wearing PPE, and help determine where you need to set up your barricades. What PPE do I need to complete the task? If so, then you will need to be wearing the appropriate PPE. The checklist on page two is not only a reminder of what types of PPE you should be considering but also a reminder to do a pre-job inspection of each piece of equipment. The last piece of the puzzle is determining what procedures to follow. If the task you are doing is testing and troubleshooting, then chances are, experience and knowledge are the only procedure you have. There are two procedures/policies that are frequent and generic enough we thought we would include them in our booklets. If your task is to do a replacement of a motor starter then you'll still need to follow all the steps we talked about first, then establish an electrically safe work condition, before starting to work on the motor starter... remember, until the line is proven dead you cannot touch it! Testing and troubleshooting tasks are accepted by the industry that they need to be done on energized equipment so no further action is required. But there are a few jobs that would require an energized work permit. Instead of going to find another piece of paper we included the only other pieces of information you are missing... justification and approvals. Using this straightforward approach to electrical job briefings should streamline things for your team and also increase the chances they are getting done. The benefit is that you'll know your team is working safer and more knowledgeable about the task at hand.